Bitcoin Core (BTC) is a full Bitcoin client and builds the backbone of the network. It offers high levels of security, privacy, and stability. 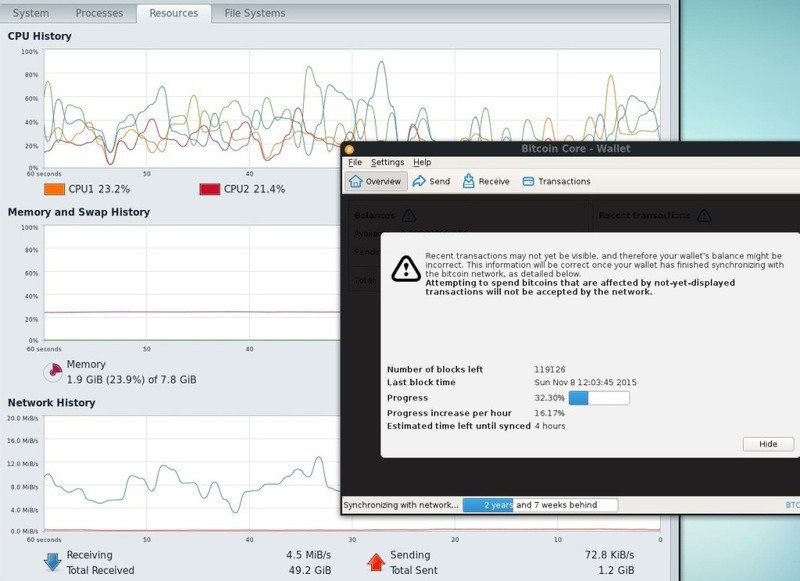 Running it in a Linux environment makes it more secure from viruses. Use RedHat, CentOS, or Ubuntu. I used CentOS minimum with MATE because it’s leaner than other distro for a Virtual Machine Guest. A full node takes a lot of hard drive space. 2. Change to su (super user) and move the file in a directory owned by the root user. $ /usr/local/bin/bitcoin-qt to start Bitcoin Core GUI. 6. You will be prompted to choose a directory to store the Bitcoin block chain and your wallet. 7. 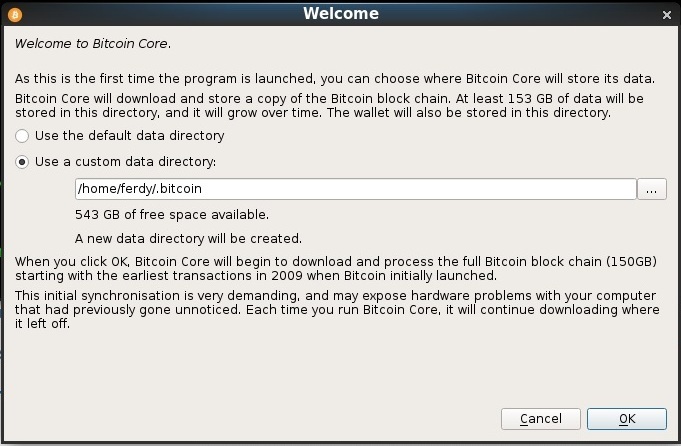 Bitcoin Core GUI will begin to download the blockchain. This step will take about a days, it depends on the internet speed. 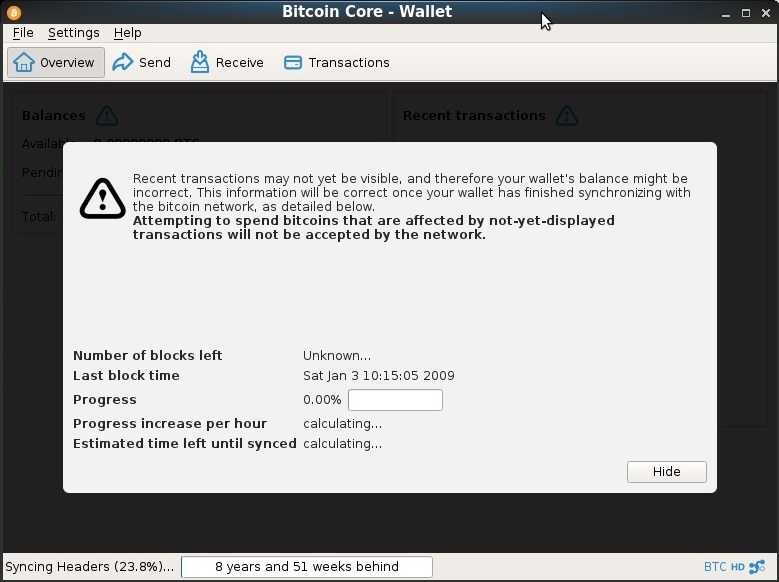 You can stop Bitcoin Core at any time by closing it; it will resume from the point where it stopped the next time you start it. 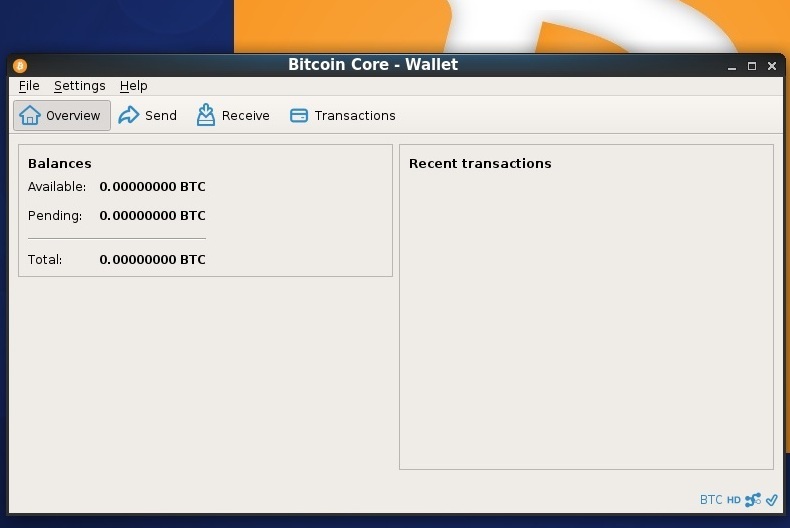 After the download is complete, you may use Bitcoin Core as your wallet or you can just let it run to help support the Bitcoin network.